Time for an internet vacation. Doing the JMT then driving cross country. I'll be back in September! 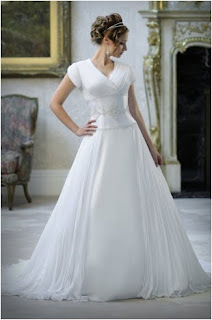 Forgive my bride-y-ness, but I'm posting on wedding dresses. Memorial day weekend, I got a call from the boutique with which I ordered my wedding dress. Since I got their message after they closed for the day, I returned the call the next day they were open, Tuesday. I was expecting that they were calling to tell me my dress had arrived--I ordered it three months prior. Turns out the company was not returning calls and hadn't delivered a dress in the past three months (at least to any other places they called). They recommended that I come in and pick out a new dress. I was a touch stressed and time was of the essence, so I took off a day of work and went over to sort everything out. Since they were having a half-off sale starting in June for dresses that were off-the-shelf, I ended up getting a new dress for significantly less than the first one and no alterations needed. 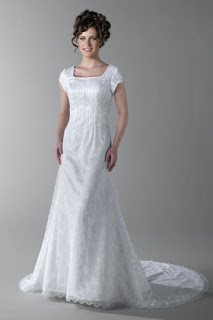 The new dress is more traditional and I like the neckline less, but so it goes. I don't really feel the need to have the perfect dress. Sometimes it all seems so silly anyway. Old dress (left) and new dress (right). The only thing store-bought dresses often don't have are bustles...my mom and I had the adventure of putting it on with a friend of ours! Yay Shotwell! I had the chance to be the "release engineer" for the Shotwell 0.6.0 and 0.6.1 releases. It consisted mostly of packaging and uploading to our PPA, but I also got to write the Yorba blog entry for the release(s). Good times.